Eye Wash Station is required at an automotive salvage facility. Ideally the eye wash station will be located in the dismantling and fluid evacuation area. An OSHA approved 15-minute eye wash station(s) must be readily accessible near corrosive materials. Workers’ eyes may be damaged very quickly by exposure to contaminants in battery storage or vehicle processing areas. The first fifteen seconds after an eye injury is critical. The American National Standards Institute (ANSI) suggests that eye wash stations be located within 100 feet, or a 10 second walk, of critical work areas. 1. 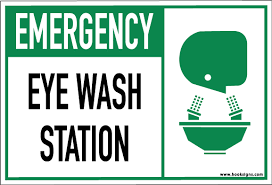 Install/maintain an OSHA approved 15-minute eye wash station(s) where corrosive materials are used. 2. 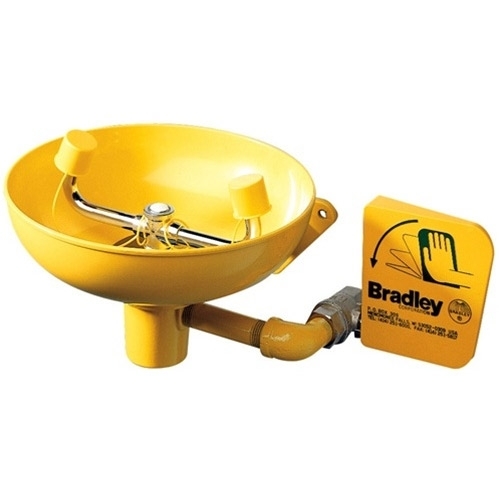 Provide annual training to employees on the location and use of an eyewash station. 3. 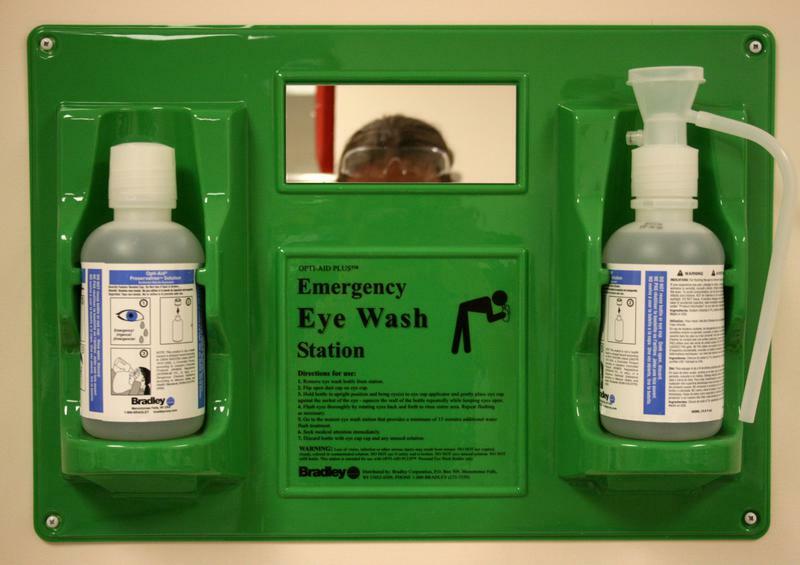 Complete an Emergency Eye Wash Protection Plan and retain a copy in safety records. Choose the correct type of Eyewash Station for your facility. Eyewash Stations come in different shapes and sizes. Each type of eyewash station has its own unique advantages. In purchasing an eyewash station, an employer has to consider the maintenance required for each particular style. It is imperative to follow maintenance schedules with eyewash stations. There are basically two styles of eye wash stations to choose from, hard-plumbed and portable, along with different flushing fluids that are used for each type. 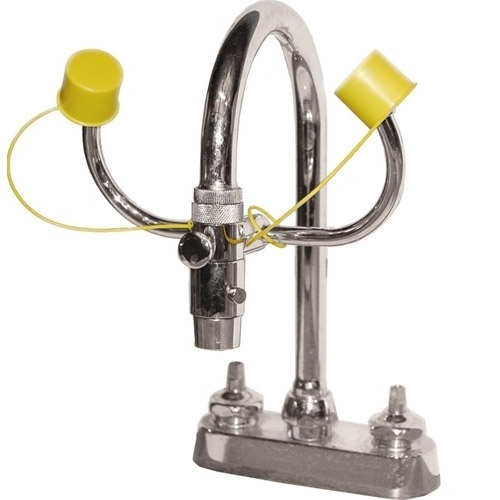 • Plumbed eyewash stations use regular tap water from the pipes that are connected to municipal waterlines. They must be flushed on an ANSI mandated weekly schedule in order to flush away any buildup of bacteria that forms from stagnant water or dust that may have accumulated on the equipment. • The portable style is a self contained eyewash station that comes with sealed cartridges that do not require the use of tap water. The benefit of this type of unit is that the flushing fluid is a sterile solution which offers added protection from contaminants that can be found in tap water. Their shelf life can be as long as 24 months. They have the added feature of being a portable eyewash station that can be conveniently moved from one place to another. All eye wash stations should have annual inspections to ensure they are operating properly. Use an inspection check sheets for annual, periodic, and weekly inspections and keep copies of these records. Plumbed eyewash stations need clean bowls, dust covers for the nozzles, and good water pressure. All eyewash stations should be protected from freezing and provide room temperature to lukewarm flushing fluids. Activating handles should start the flow of fluids immediately. Fluids should flow for at least 15 minutes, or, in the case of eyewash bottles, long enough to reach a plumbed eyewash station. On a weekly basis, check plumbed eyewash stations to ensure that they are clean and working correctly. Check eyewash bottles and tanks for expired solutions according to the manufacturer’s instructions.